What you need to know about writing a Will. Very often, people put off making their will because they are fit and healthy and don’t think there is any hurry to create one. It is estimated that 80% of Indians do not have their wills made. And in India, a popular one is superstition. The finality of a last testament puts some people off. It sets out clearly who the heirs are and how the assets are divided. It ensures that the people, who you want to give money to, get it. If you own a business, it lets the transition of ownership be easy. It helps you safeguard your inheritance for your heirs or from them, depending on who you want to give it to. It allows you to specify how you want certain formalities or assets handled in the event of your passing. 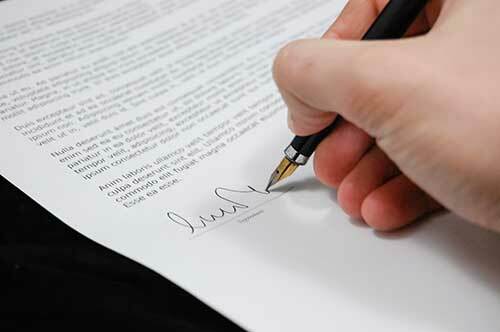 It lets you appoint an executor who you trust to make sure that your instructions are carried out correctly. Why would you need to change your will? Sometimes, due to family or business dynamics, one may change one’s mind on how they want their assets passed on. At that point it is important to review the will and make the proper changes. Passing on an instruction by word of mouth will not stand up in court. It needs to be done in a proper and legal manner. Major events that can cause a person to make changes to their will could include marriage, divorce, stepchildren, death of a family member, a discord in the family or business, changing of executor, starting/closing a business, buying/disposing property etc. A will can be changed as many times as you want during your lifetime. Sometimes, if the changes are minor, an amendment can be made to a previous will, but is advisable to make a new will rather than add an amendment to make sure that the terms of the new will are clear and cannot be contested. It is also advisable for a will to be registered, whether it is a first will, a changed will or an amended will. Speak to your lawyer about how best go about making or changing a will to ensure that your wish is carried out without any legal problems.